shows Bishops Highlights but found it randomly and though it was awesome. 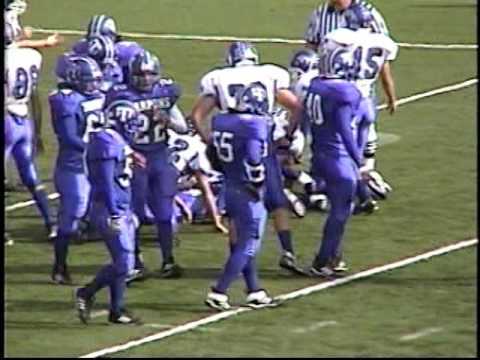 First old school PI Tarpon football video i have seen. Bishop was HUGE that season, and I remember the game too. This was the first year with Gabe Pena's full influence (no more Tony V. influence) and getting blasted in Bi-District by Bishop was the result. I distinctly remeber overhearing a fan from Bishop saying something along the lines of "wow, Port Isabel doesn't seem to be the same anymore" "that looked easy" and "I thought the game would be closer". Also, this was during the time Coach V. was at Los Fresnos, and you could see the difference. i bet thats what they said, PI got romped that game. Yea biship looked BIG. I remember those years, i was going into HS . Poor PI and they had the talent like always, Manny Espinoza was my cousin and that boy was a BEAST! Man, if I could get my film back from Ed Francois.....I had film from a few of PI's games from the 1994 season. PI vs. La Feria, PI vs. Cuero, PI vs. Bandera, PI vs. Sealy if I recall. I'll see if I can get in touch with him to get those returned to me. Jealous!? lol jk i honestly wouldn't mind seeing the teams i grew up wanting to be like. that would be pretty tight.... Ed Francois, theres a name for....where is he now? and i wonder about Ed Stamps also...i bet hes still a BIG little dude! Coach V i know hes in Tennessee, last time i had the privilege seeing and meeting with him was at his dads funeral my Sr year, and i saw Verdusco a couple years back at a restaurant i used to work at on the island but haven't seen him since. Port Isabel vs Bandera 2002. Lost by 3 Bandera wins state that year.